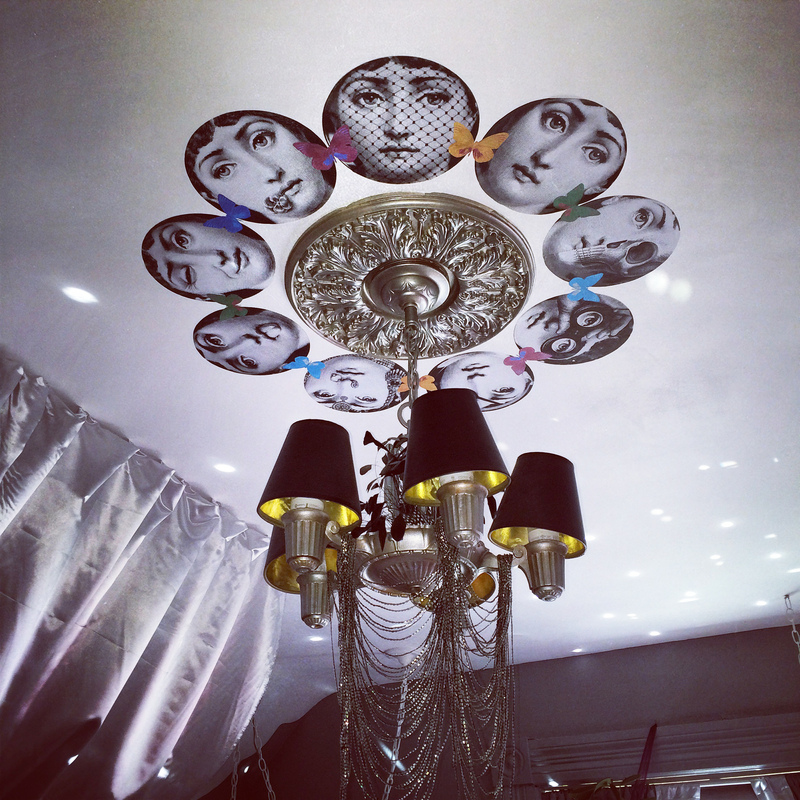 I adore Fornasetti. 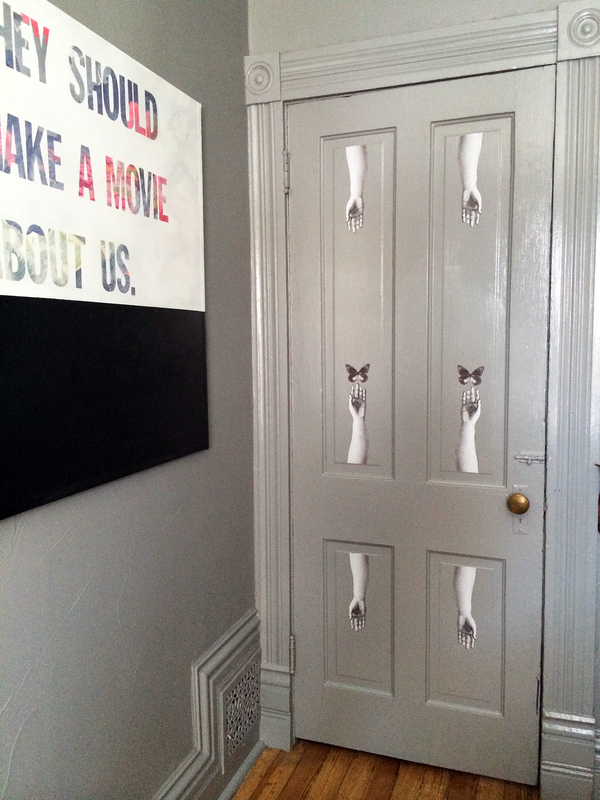 I’d love to paper a wall with Fornasetti wallpaper, but since $300+ a roll is a bit out of my price range (and it seems to be discontinued at that) I wanted to create my own look with the Fornasetti “Julia” images. 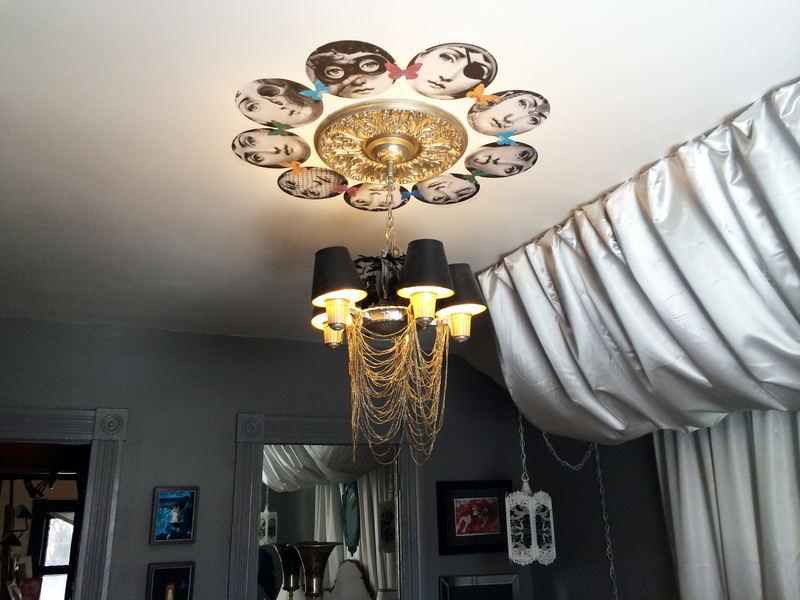 I’ve been looking for the right project to use the imagery on for awhile now, and came up with this fun design that I decoupaged onto my bedroom ceiling around the medallion. It was easy and cost almost nothing. 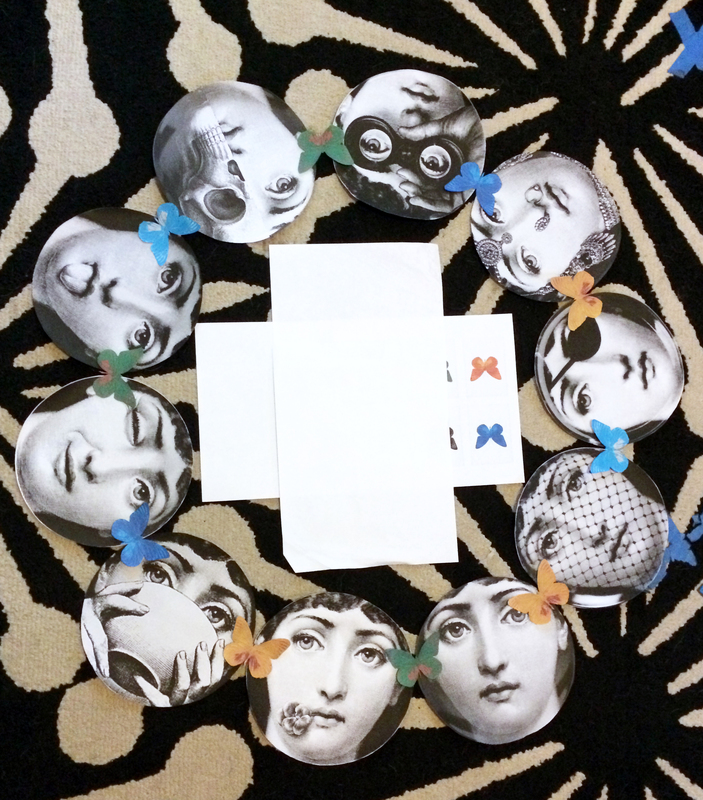 Now it’s time to decoupage! Just mix 3 parts Elmer’s glue (any basic white glue should work), to 1 part water, brush it lightly but thoroughly on the back of the image and on the surface to be covered and carefully lay on the image. This can be a little tricky as you want to avoid air bubbles. I start at one corner and smooth it gently to the other corner. If you get a bubble gently work it out with the damp brush. And here it is finished! The whole process took about an hour and cost only the cash to cover the ink, paper and glue, so pennies! A Note on Copyrighted Images: It’s ok to do things like this for your own personal use, but you cannot use copyrighted images on anything you are going to sell, or you can be sued for copyright infringement. 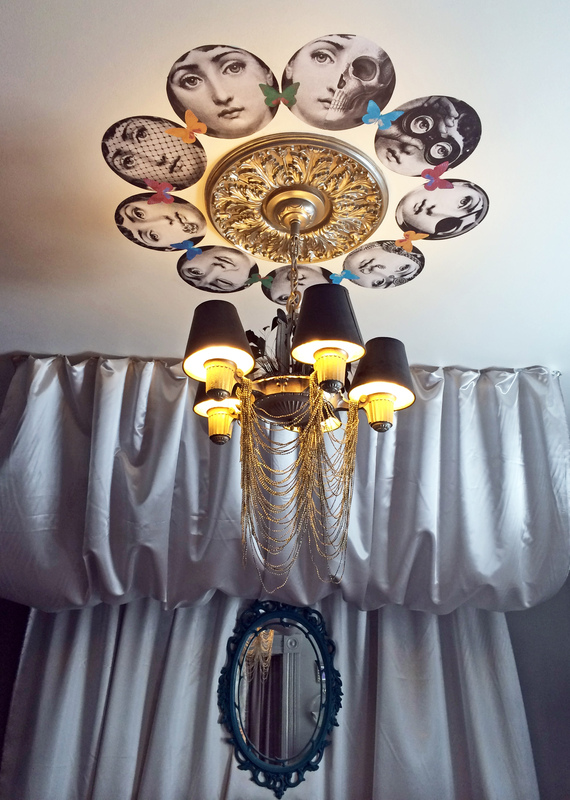 This entry was posted in decor, decorating, DIY and tagged bedroom, ceiling deign, celing medallion, chandelier, decor, decorating, decoupage, decoupage ceiling, diy ceiling, diy fornasetti, Fornasetti, Fornasetti decoupage. Bookmark the permalink. 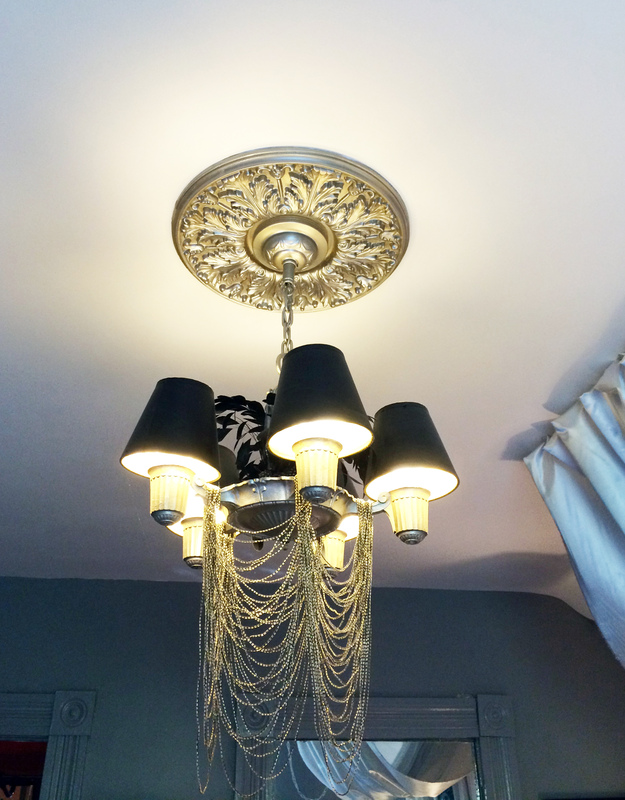 ← The Big Switcharoo…Halloween into Thanksgiving, Decorating Quick & Cheap. 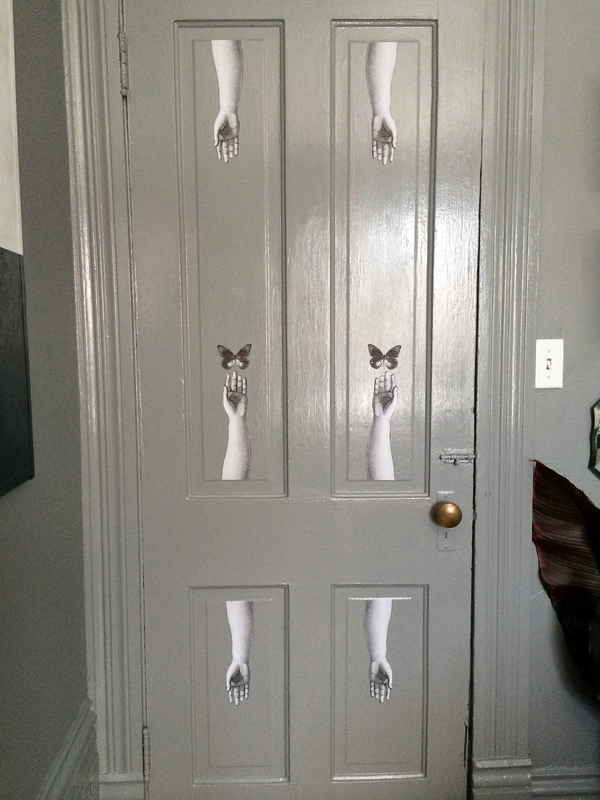 I too am a Fornasetti crazed fan! I have a few things (not originals of course) but to be able to print some off??Heaven! Why didn’t I think of that! Fabulous!